Now leasing!! 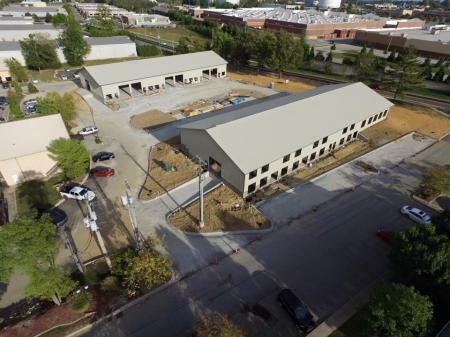 These two new flex space buildings have leasing opportunities on Aiken Road behind Super Wal-Mart and Target in Middletown with close proximity to I-265, I-64, and I-71. Each building has 12,300 square feet with front entrances as well as 18 foot service doors and rear entrances. Each space has a front office entrance for the public and service/delivery doors in the rear of the building. Each building is sub-divided with spaces available.